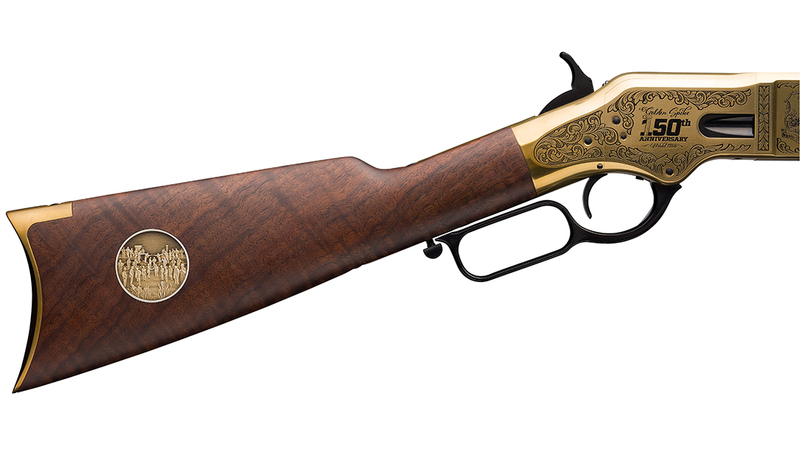 Nothing honors the completion of the Transcontinental Railroad like the this special lever action, the Winchester Golden Spike Model 1866. For the 19th century, the completion of the Transcontinental Railroad was the equivalent to the moon landing 100 years later. Additionally, that magnificent stretch of rails connecting New York and California changed the way people would travel coast to coast. What had once taken anywhere from four to six months by wagon train, and could just as easily have cost you your life in the process, cost just $65 in 1869 for a weeklong train ride. But the railroad also brought great complications for everyone in between, and the thousands of men who built it. No great achievement comes without an equally great cost. Planning for the Transcontinental Railroad had begun in 1862 after the Pacific Railway Act was authorized. It was a daring piece of legislation given that the nation was divided and in the midst of civil war. Construction didn’t really pick up until after the war. The railroad was to be a unifying force that brought North and South together for a common goal. At least that was intent. In truth, men did not get along. There was still a rivalry between ex-Union and Confederate solders, bigotry toward freed men working the rails and distrust of the Chinese labor force, the Irish and, later on, Mormons who worked the road in Utah. And with the railroad’s snaking route across Middle America followed the worst elements of society, creating lawless “Hell on Wheels” tent cities. The best means of bringing order to the task was the U.S. Army—men with the arms to enforce whatever the railroad needed to succeed—and of those arms wielded by a nation eager to rebuild itself came the first Winchester lever-action rifle: the Model 1866. Evolved from the Civil War’s Henry repeating rifle, it was designed by Nelson King for Oliver F. Winchester. 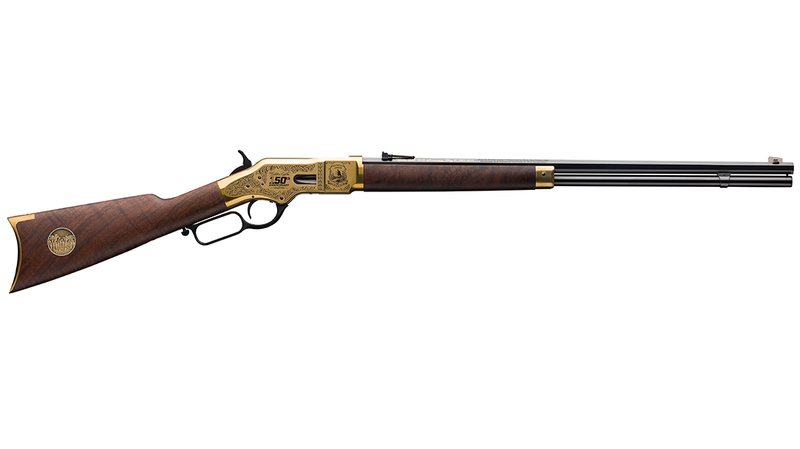 The Model 1866 became one of the greatest rifles of its time. 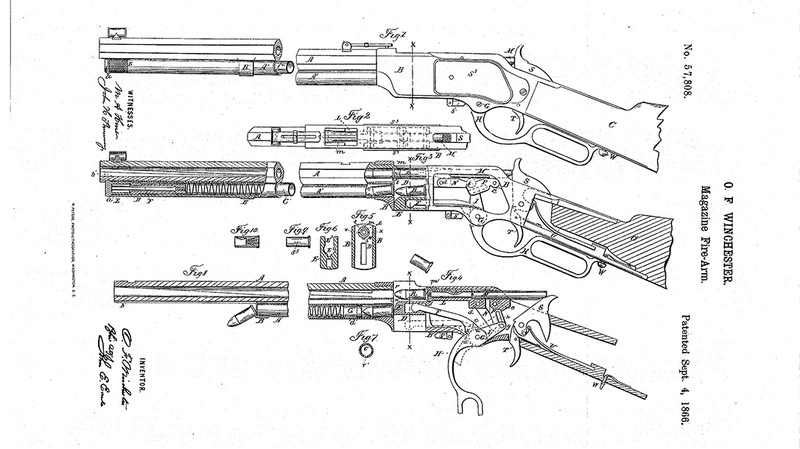 Moreover, from 1866 to 1869, the Winchester lever action could be seen as plainly as the rails being laid. Further, railroad bosses, lawmen, shopkeepers and highwaymen all carried the Model 1866. 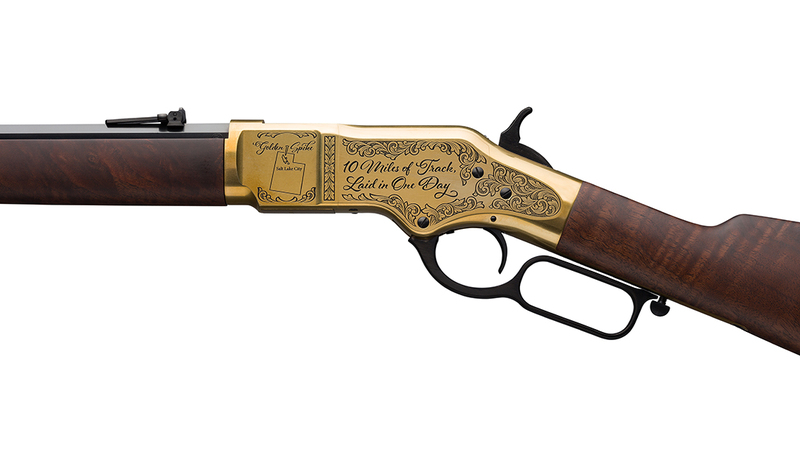 Whether used for taking game or for self-defense, the Model 1866 was ubiquitous. It served as much a symbol of the Transcontinental Railroad’s path as the timbers, rails and spikes used in construction. 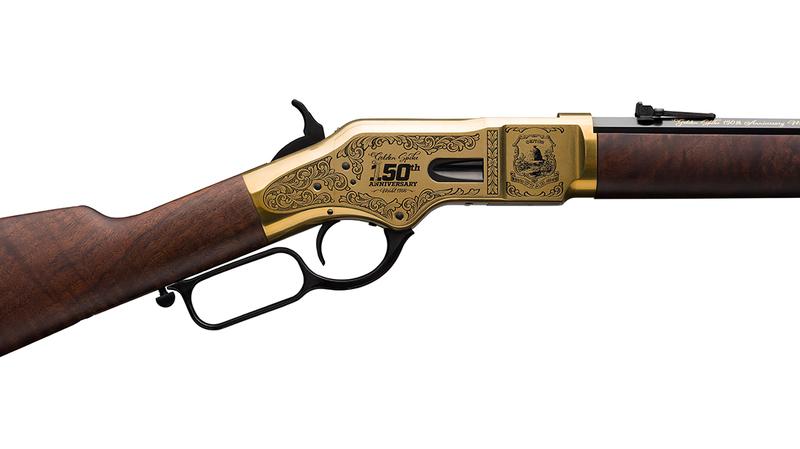 The Model 1866 was the offspring of what can only be described as a financial coup. In 1865, Benjamin Tyler Henry, who had been Winchester’s superintendent and designer of the Henry rifle and .44 rimfire Henry cartridge made famous during the Civil War, tried to oust financier Oliver Winchester and rename Winchester’s New Haven Arms Company after himself. Henry succeeded in taking control of the company. Meanwhile, Winchester, rather than going to any great lengths, having already reaped the benefits of the Henry rifle, simply withdrew. He took all of the New Haven Arms assets with him and starting the Winchester Repeating Arms Company. He also took Henry’s right-hand man, Nelson King, who engineered the improved Winchester Model 1866. The Henry had been remarkable for its time, but it had been less than perfect, as proven in battle. The open magazine and follower allowed dirt and debris into the action, and there was no handguard. The barrel became so hot with rapid fire that a soldier either had to wear a leather glove or wrap his hand to prevent being burned. These had been among the criticisms leveled against acquiring the Henry by U.S. Chief of Ordnance Brigadier General James W. Ripley. His opinion significantly stemmed the number of orders for the rifles by the government. 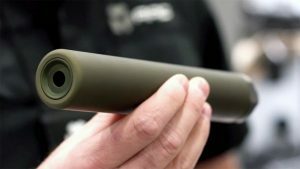 The Ordnance Department ordered modest numbers and more than 1 million rounds of .44 Henry ammunition. The majority of Henry repeaters carried by Union troops during the war were actually purchased by individual soldiers and commanding officers in the field for their units. The Henry was more famous for becoming a favorite among troops despite not being the Union’s standard-issue rifle. Also, that may have clouded Benjamin Tyler Henry’s judgment. Further, his ouster of Oliver Winchester served as the catalyst for Winchester to put his name on the company. Nelson King’s improvements cured nearly all of the Henry’s ills. 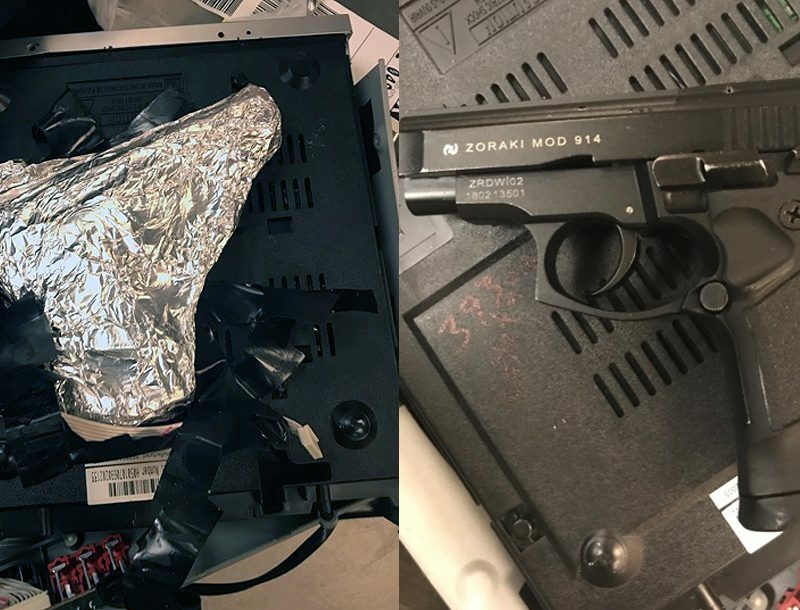 His new design included a loading chamber in the right side of the receiver. It also totally enclosed the cartridge magazine running under the barrel, thus eliminating the Henry’s greatest drawbacks. Additionally, he even managed to increase the rifle’s cartridge capacity from the Henry’s impressive 16 to 17 rounds. 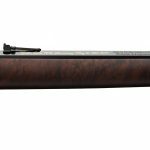 Moreover, Oliver Winchester had a runaway success on his hands, and in the end, more than 170,000 Model 1866 rifles were sold between their debut and 1898, when the first Winchester lever action was finally discontinued. 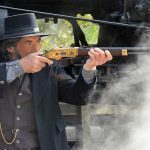 Popularly known as the “Yellow Boy” for its shiny brass receiver, the .44 rimfire 1866 remained a staple of the post-Civil-War-era Western expansion and the building of the Transcontinental Railroad. 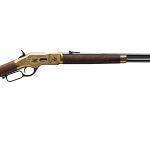 Over the course of production, there were First through Fourth Model variations of the 1866, with changes mostly pertaining to minor alterations in the frame and forend fitment and markings, and the Fourth Model ushered in the .44 centerfire chambering. With round or octagonal barrels and lengths varying from carbines to muskets (20 to 27 inches), the Model 1866 was also one of the most popular canvases for the engraver’s art, and many were given as presentation arms, including one given to retired U.S. Army Brigadier General Granville M. Dodge, who became the lead engineer for the UPRR in 1866. Prior to the Civil War he had been a civil engineer and railroad builder, thus he was well suited to both the regimentation needed to keep men moving forward and intricacies of building a railroad. But without Granville Dodge, it is unlikely that the UPRR and CPRR would have met at Promontory Summit on May 10, 1869. 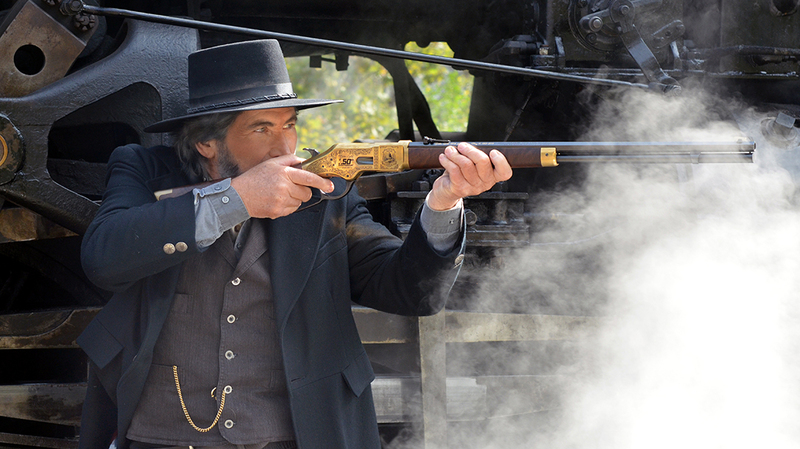 Also, the Model 1866 carbine presented to Dodge was simply engraved in elegant script “Gen. G.M. Dodge U.P.R.R.” with a fine flourish of lines surrounding the railroad’s initials. Additionally, it was given to him by U.S. General Jack Casement, who became the chief contractor for the UPRR’s construction. “General Jack” led the construction crews all the way to Promontory Summit. Finally, on May 10, 1869, the Old West and the older East Coast met face to face in Utah. 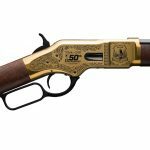 Firstly, the Winchester Repeating Arms Company has always been keenly aware of its role in the American West and in the building of the Transcontinental Railroad. 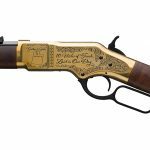 Inspired by the Granville Dodge Model 1866 and the history of Promontory Summit and Utah, Winchester issued its first Golden Spike carbine in 1969 for the centennial of the “Golden Spike” ceremony, but that rifle was a Model 94 chambered in .30-30. Also, it had engraving on one side of the receiver and a gold medallion in the stock showing the UPRR and CPRR engines meeting at Promontory Summit. Above all, this was a high-production model (just under 70,000), and it wasn’t a Model 1866. However, that has changed for the 150th anniversary. Like the building of the Transcontinental Railroad, this special Golden Spike Winchester Model 1866 was also the effort of many individuals who decided to make the 150th anniversary something very special, starting with the governor of Utah, who tapped Guns of the Old West publisher Nick Seifert as a member of the Golden Spike committee to produce a very special Model 1866 commemorating the historic event. Seifert, with a lengthy background in the outdoor sports and the sporting industry (Field & Stream and Outdoor Life) was the perfect fit to team with Golden Spike Celebration Chairman Doug Foxley and Utah cattle rancher Nate Sandall, whose family ranch is at Promontory Summit. Further, the three worked with Glenn Hatt at Winchester in designing and overseeing the manufacturing and marketing of the Golden Spike Model 1866. 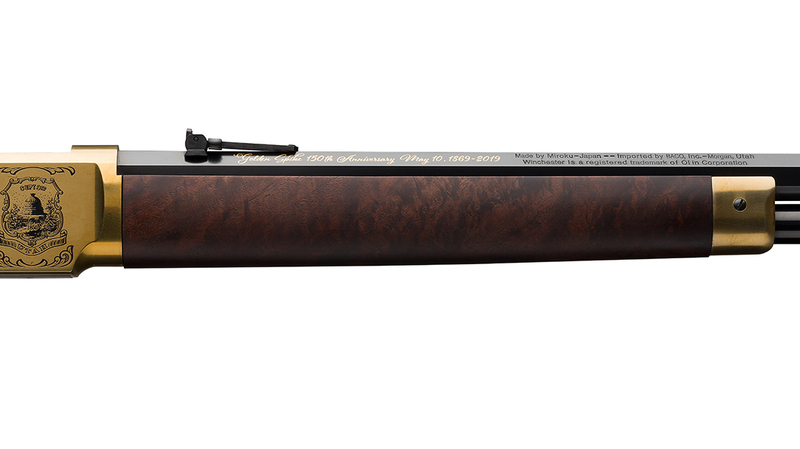 “Only 150 of these Winchester rifles will be produced,” explained Sandall. 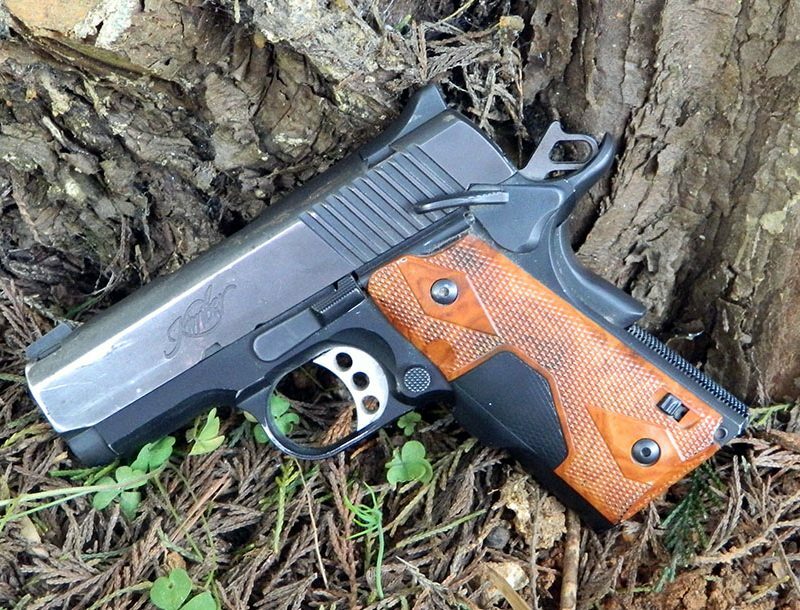 “We went with the highest-grade walnut (Grade V/VI), a full 24-inch hexagonal barrel, a folding rear sight, a silver front blade and custom engraving. Even the serial numbers are ‘GS’ for ‘Golden Spike.’ The Winchester design team came up the Golden Spike logo located on the right side of the receiver behind the loading gate. I came up with the ideas for the Territory Seal of Utah and the ‘Ten Miles of Track Laid in One Day’ inscription.” Finally, the original photo of the joining of the railroads was used by O.C. 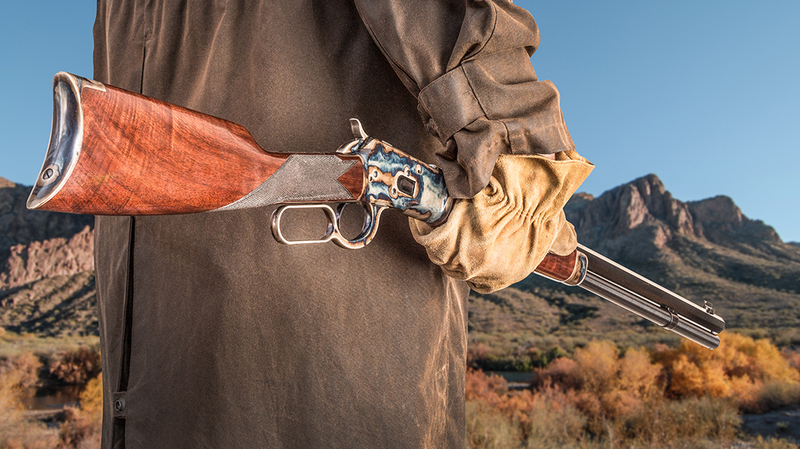 Tanner Jewelers in Utah to design and cast the fine silver medallion recessed into each of the 150 rifle stocks. The rifles commemorate one of the great moments in American history. When the Golden Spike was driven (there were actually four spikes for the ceremony) the telegraph message “D-O-N-E” transmitted coast to coast. Also, cannons fired in celebration over New York harbor and San Francisco Bay, and church bells rang across the nation. Like a page out of history, these 150 Winchester Model 1866 carbines in .44-40 will endow their future owners with a sense of belonging to something much bigger, the very tapestry of the American West. Moreover, our special thanks to General Manager Jason Lamb and Engineer Zack Hall of the Everett Railroad in Everett, Pennsylvania, for providing Old No. 11 for our Guns of the Old West photo shoot. 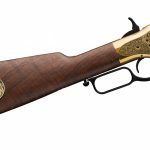 Additionally, the limited-edition Winchester Golden Spike Model 1866 rifles will be sold exclusively by Sportsman’s Warehouse. For more information, visit sportsmanswarehouse.com.